Cuisinart Mixing Bowls Just $23.59! Down From $64! You are here: Home / Great Deals / Amazon Deals / Cuisinart Mixing Bowls Just $23.59! Down From $64! Don’t miss this amazing deal from Amazon! 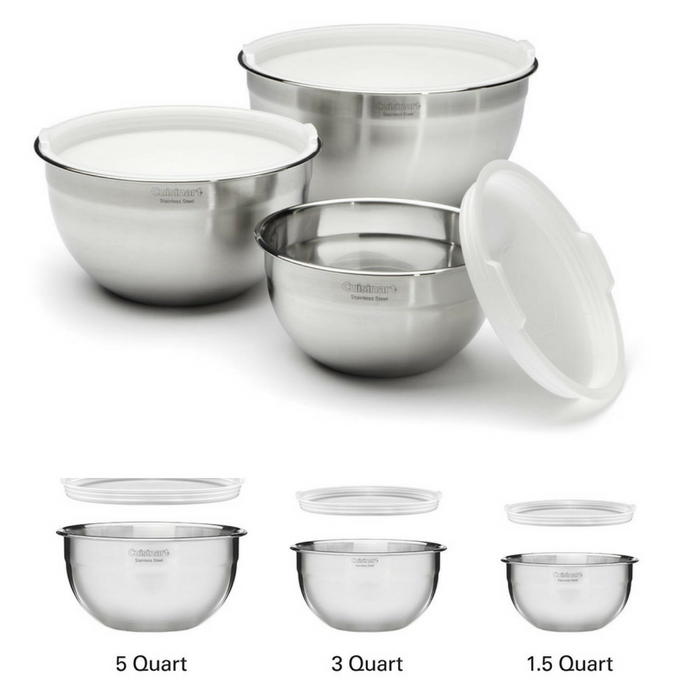 Get these Cuisinart Mixing Bowls with Lids for just $23.59, down from $64.00 PLUS FREE shipping for orders $25 or more! These Cuisinart Mixing Bowls with Lids is a set of stainless steel mixing bowls that come in a set of three with tight-fitting lids for easy storage. They are freezer and refrigerator safe, making it easier for you to store left-over ingredients. Plus, these high-quality mixing bowls are made dishwasher-safe for easy cleaning!